I think the bracelet is probably stamped/folded steel but I'm quite certain the case itself is coated brass. the stainless steel will be the bracelet. the case is plated brass. 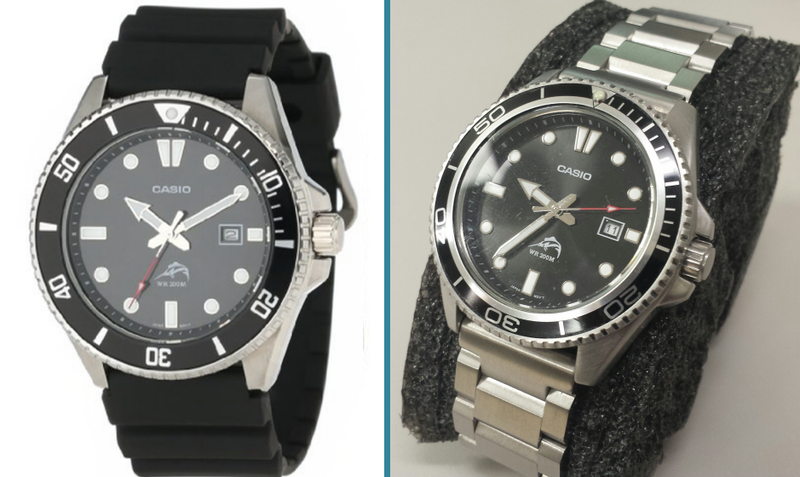 casio is a far superior watch from a technical standpoint. Dont sweat the strap too much. thats an easy change. You wont get a good fitted curved end link bracelet but there are many other silicone, canvas, nato, or sailcloth options. I put mine on a hadley roma silicone with contrasting stitching and really liked it. I did do a straight end link hexad bracelet for a while too. Let me see if I can dig up some pics for you. fantastic option. smaller than Duro, comes with a decent bracelet (way better than the timex), and is auto...if that matters to you. my before and after. I added the bracelet, brushed the surface so it didnt have so much shiny on it, and replaced the insert just because I wanted to. Not the cheapest but I like the Citizen Promaster Diver watch because it is an eco-drive. Heck yea. Ultimately I'd like to get a Citizen BN0191-55L but other than grey market I haven't seen it for less than $250 (unlike the Duro--42 bucks)! I recently acquired a Citizen Promaster Tough (the green one) and love it. Thanks for the comments. The duro looks great on that bracelet! its what made it wearable for me. Made it a big bold sports watch but it seemed to fit. good catch, i skimmed that. the 8926 can be had for $52 but usually more like $70. 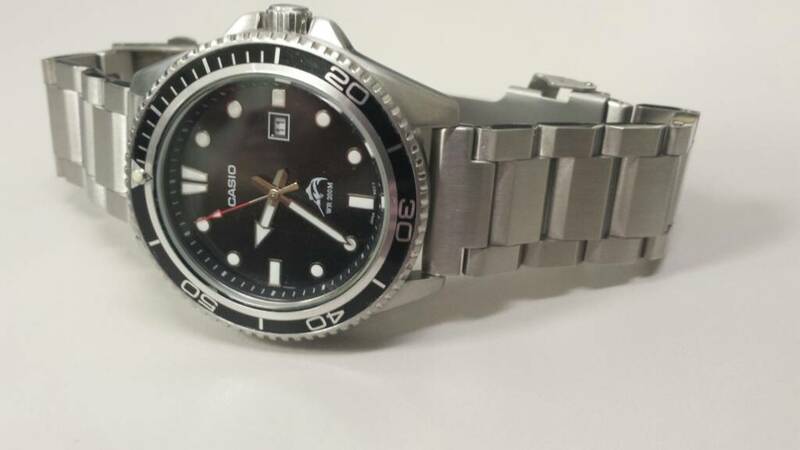 I have never tried their quartz, only the auto with the seiko movement.